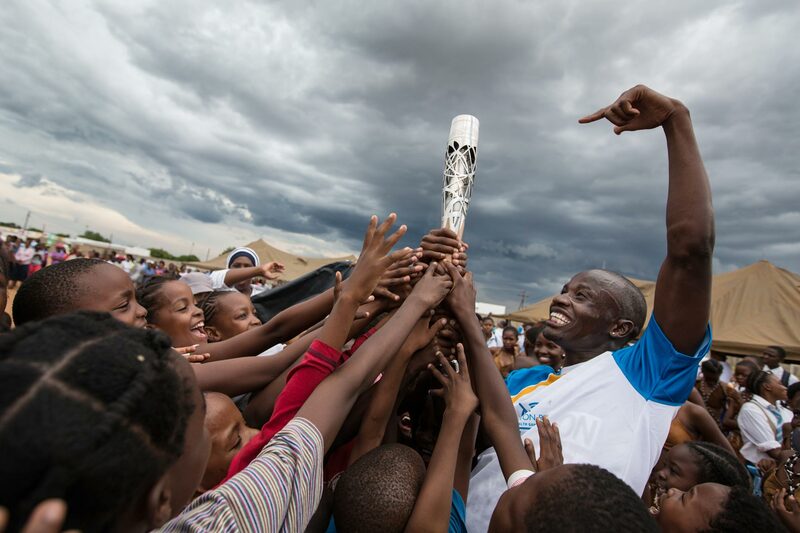 The Queen's Baton journeyed in relay visiting Tlokweng Stadium, where cultural activities took place involving pupils from Tlokweng Junior School in a traditional dance, in Gaborone, Botswana, on Friday 30 January 2014. Botswana is nation 34 of 70 Commonwealth nations and territories to be visited by the Queen's Baton. Photograph by Jeremy Sutton-Hibbert, copyright © Glasgow 2014 Ltd, 2014.